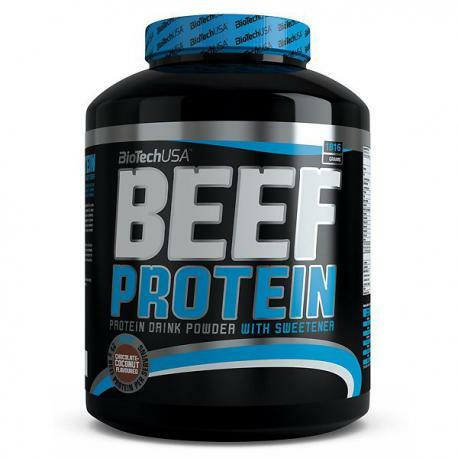 HydroBeefTM is a protein source which is easier to digest than low-fat beef (e. g. steak), absorbs within 60 minutes and has a high protein and nitrogen value (100). The brand new lactose and soy-free BioTechUSA Beef Protein is based on this cholesterol-free protein source of over 97% purity. 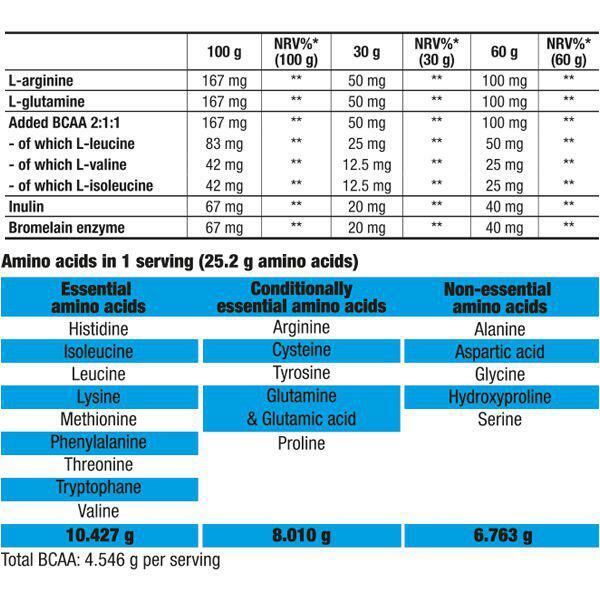 Its protein content contributes to muscle mass growth and maintenance. 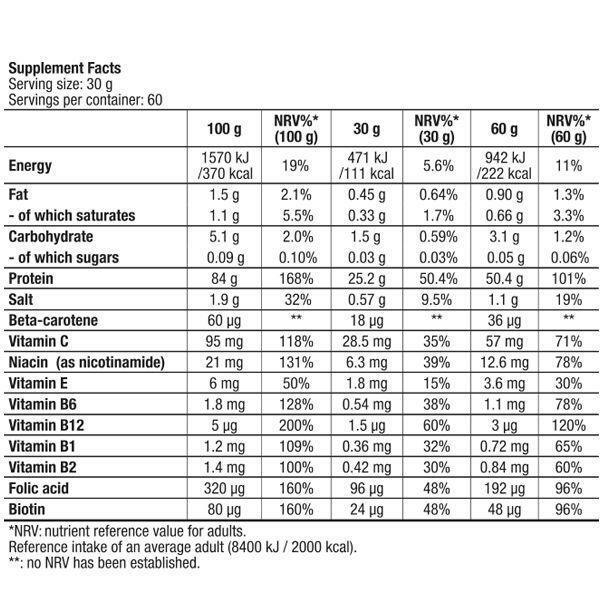 The natural vitamin and mineral content improves the absorption of nutrients, of which vitamin B6 contributes to normal protein and glycogen metabolism as well as reducing tiredness and fatigue. It is an excellent supplement to a Paleo diet.